The 2018 Volkswagen Passat GT is set to arrive later in the year as the first model developed and engineered by Volkswagen in the United States of America. It was developed in Volkwagen’s North American Engineering Planning Centre in the state of Tennessee, nearby the factory that locally-assembles the Passat and VW Atlas. Under the hood, the Passat GT houses a 3.6-litre VR6 engine tuned for 280 hp and 350 Nm of torque with power delivered through a 6-speed DSG automatic transmission. Paying homage to the Golf GTI, the Passat GT’s grille features a red accent line across its honeycomb pattern while the bumper sports a more aggressive appearance with louvres taken from the Mk7 Golf GTI. 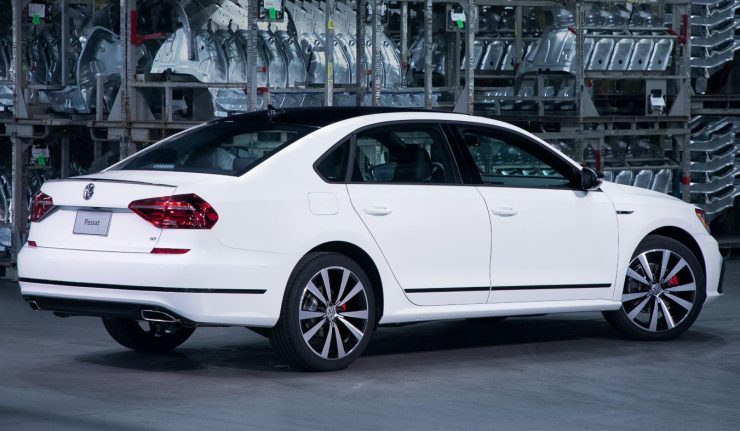 At the back, the Passat GT sports a black boot lid along with redesigned rear lamps as it sits on a set of unique sports suspension with 19-inch Tornoda wheels separating the car from the tarmac.